Art League Gallery now open every day, Monday – Saturday, 10am – 4pm & Sunday, 12 – 4pm plus 90 minutes prior to all Arts Center Performances. 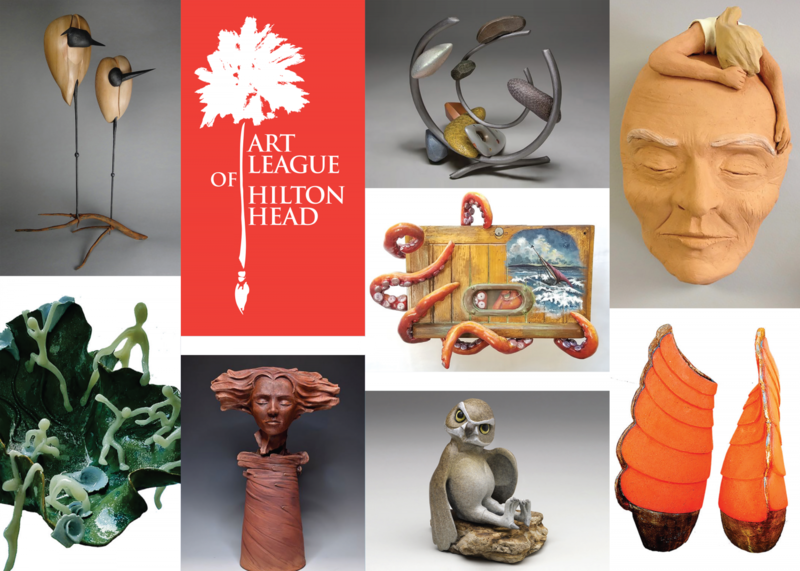 CraftHiltonHead2018, Art League’s 6th National Juried Fine Arts Craft Guild Exhibition, which occurs once every two years, will showcase over one hundred 2 and 3-dimensional craft works of featured artists from around the country, competing for over $4,000 in cash awards. The selection of the finalists will be by two nationally-recognized jurors, Linda Bloom and Patricia Willcox. Linda Bloom’s career has spanned over 30 years in the visual and performing arts. She has served as a working artist, public school art educator, cultural arts director, gallery director, art historian, museum curator, public art administrator and arts center development director. She previously served as juror of CraftHiltonHead2012. Patricia Willcox is an award-winning 3-dimensional multi-media craftsman, teacher, and entrepreneur. Her work as a costume designer for the past 40 years in movies and on the theater stage has greatly influenced her own fantasy figurative art in fiber and clay. This exclusive presentation of a wide variety of imaginative crafts will be on display and for sale December 4-29, 2018.